Remember yesterday’s challenge? Well, this is the first review I’m publishing, with high hopes of turning this intro a weekly habit. is the type of book that you start reading, just to get a feel of it, and wake up 100 pages later. It intrigues you, it saddens you to tears, it makes you smile, it makes you laugh, it makes you angry. The states characters are in are described in such detail their imaginary feelings are passed on to you. It’s a story of a half white, half black family and the world they live in, a small town built around a university – Wellington. The personal tragedies of each member of the family are interlinked with those of their friends, enemies and of plain strangers. Political debates, family problems, art, culture, drugs, sordid affairs, theft and love, all are part of this book’s world. And everything seems to be treated in pairs of opposites: the intellectuals and those less interested in academic debate; those entitled to an education, but who lack talent, and those who have the talent but lack the right or means to an education; the beautiful and the less good looking, the wifes and the mistresses; the popular and the hated. 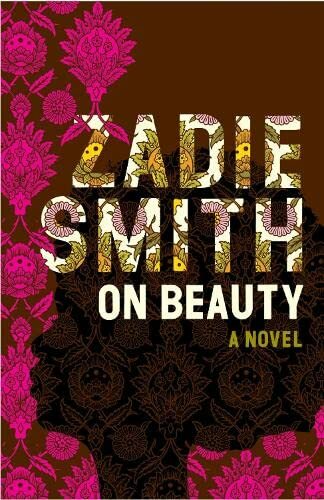 Zadie Smith‘s book will take you from the cultural issues of a US small town, to the political hassles of Haiti, and to the poor neighborhoods of London. It will make you think of the human condition, of what big messes we can make at times, of how easy it is to hurt people or to make them happy, of how fragile lies and lives are. Some passages of the book are so common, they are predictable, but they are described in a way that does not bore you. It all seems so natural, so human, a part of our souls that we cannot reject. My favorite character is Kiki Belsey, the black wife of a university professor forced to live in a world where the only black people are those she hires to clean her house, mother of three, each child with their difficult problems. An extremely strong woman, with an incredible will and sense for what’s right. An amazing friends that we’d all want around. If anyone has read the book, I’d appreciate your thoughts on it. If you haven’t, consider this on your list of book recommendations.